Heath Ledger's chilling portrayal of the Joker will forever be remembered in movie history. Even Batman director Christopher Nolan recognizes the power Ledger's role has on pop history, as he will not bring the Joker back in future films. In an interview, Nolan would not comment on which villains Batman will take on in the next film. All he did say was that Ledger was for him the "definitive Joker," and it would not feel appropriate to bring back the character. Nolan's appreciation of Ledger's manic Joker is appreciated by fans worldwide. The Dark Night role, which earned Ledger an Academy Award one year after his death, is one which still chills audiences. 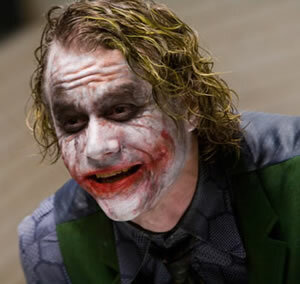 Between the striking mannerisms and chilling laugh, it was a role forever made for Heath Ledger.